“We continue to benefit from a favorable customer mix as well as our work to increase our fixed commitment contracts and drive productivity improvements,” Americold CEO Fred Boehler said in a statement released Aug. 9. In the three months ended June 30, Americold said it earned $29.4 million, or 20 cents a share, on total revenue of $394.7 million. That compares with a net loss of $15.7 million, or minus 22 cents a share, on revenue of $379.5 million in the same period a year ago. 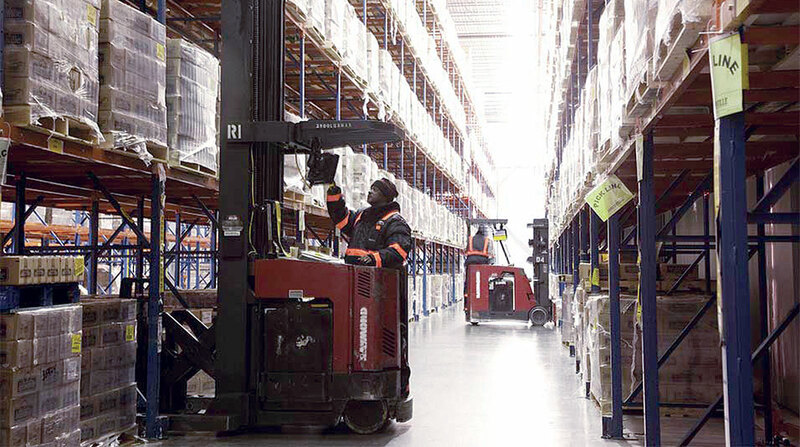 Global warehouse revenue was $287.7 million in the second quarter of 2018, up 2.1% from $281.7 million in 2017. Revenue from managing warehouses owned by other parties increased to $65.7 million in 2018 from $59.6 million in 2017, and revenue from transportation services was $38.9 million in 2018 versus $35.8 million in 2017. For the first six months of the year, Americold reported net income of $20.8 million on revenue of $785.8 million, compared with a net loss of $4 million on revenue of $752.4 million in 2017. Boehler said the company expects to see additional gains in revenue and profits from new facilities coming online, including a new build-to-suit warehouse in Middleboro, Mass., to be completed in the third quarter. “We believe that the combination of our size and scale, deep industry knowledge, long-standing customer relationships and the attractive, stable industry fundamentals positions us to create meaningful shareholder value over the long term,” Boehler said. The company sold a 5.6 million-cubic-foot facility in Thomasville, Ga., for $18 million, recording a gain on the sale of $8.4 million, and also exited a 4.3 million-square-foot leased facility in Vernon, Calif., in the second quarter. Americold owns and operates 158 refrigerated warehouses covering 1 billion cubic feet of space in the United States, Canada, Australia, New Zealand and Argentina. The company also owns a minority interest in a joint venture in China and provides third-party transportation management services. The company, based in Atlanta, ranks No. 9 on the Transport Topics Top 50 list of largest logistics companies in North America.